Ospreys have announced the addition of Namibian international Lesley Klim to next season’s squad, the highly rated centre/wing signing a two-year deal with the region. The 23-year old is viewed as an exciting prospect, bringing physicality and pace to the backline, and will link up with the Ospreys at Llandarcy Academy of Sport this summer. Some good news to start international day as highly rated Namibian international is confirmed as the third new addition for next season after signing a two-year deal. Featuring regularly over the last two years for Windhoek based side Welwitschias in South Africa’s domestic competition, the Currie Cup, Klim finished both season’s as his club’s top try scorer. Having been capped by Namibia throughout the age-grades and at sevens, he made his senior international debut against Spain last June at the World Rugby Nations Cup in Uruguay and has now scored six tries in eight games for his country. Bismarck du Plessis fights team-mate in WARM-UP! 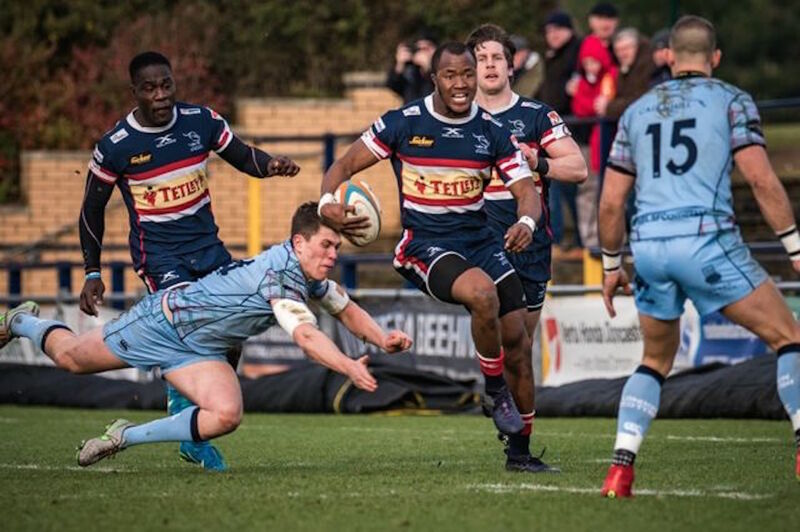 Klim’s eye-catching form for club and country saw him handed the chance to move to the UK at the turn of the year, joining Doncaster Knights on a short-term contract. Following a try-scoring man-of-the-match debut against Bristol in mid January, his record to date under Clive Griffiths at the Yorkshire club is two tries in four games. He becomes the third confirmed new face for 2018/19, joining fellow backs, Wales and Scarlets pair Aled Davies and Scott Williams. WATCH: Bismarck du Plessis fights team-mate in WARM-UP!